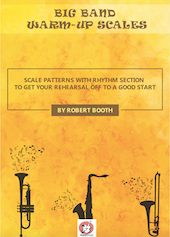 Try a few of these very handy warm up scales for your big band/stage band FOR FREE! 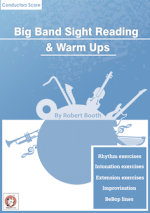 How important is if for a band to warm up? 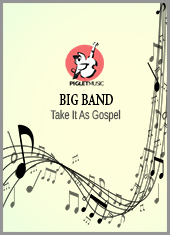 For the brass player it helps them get through the duration of the rehearsal, and for everyone it’s a chance to get their “ears” set before the complex harmonies start. But how many do? “There’s not enough time in the rehearsal”. There’s time for 3-5 minutes surely! And those valuable minutes will most likely help make the rest of the rehearsal more efficient. Rhythm section and any number of horns (sax's, trumpets & trombones).